I’ve been reading a ton of posts in blogland about getting out of debt to “improve your credit score” so you can get a better rate on your next car or home loan. Dumb! 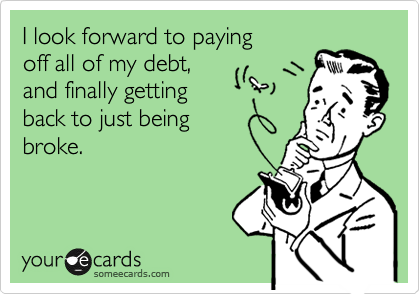 If you are saving, scrimping, sacrificing and working hard to get out of debt why in the world would you turn around and acquire more debt? Let me start by pointing out the obvious flaw with plan: Most people think they need debt for larger purchases like a car or home. That is simply NOT true! Just think, if you paid yourself a car payment (the average american car payment is around $400.00) for a year you would have $4,800 at the end of one year. In two years it would be $9,600 and in three years $14,400! you could buy a really nice, reliable and safe automobile for that kind of money. It would require some patience but you could do it! As far as the house goes, I know for a fact that there are banks and credit unions that would gladly give a mortgage to anyone with a job history and more than 20% down even with a 0 credit score. This can be done, its called patience. This is exactly why Americans are in this financial predicament. We the people have been told that in order to do anything we need a credit score. 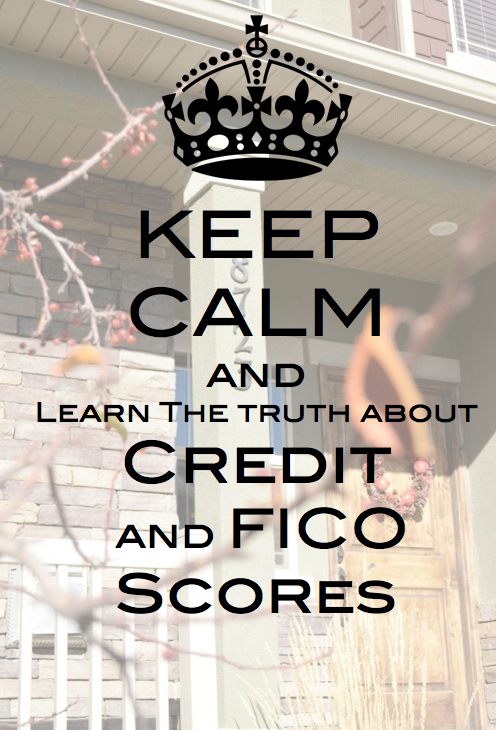 We don’t understand (or can even conceptualize) that a credit or FICO score shouldn’t be ruling your financial decisions. Take a minute to think about what financial freedom really means.